There exists a sect of rogue out there who sees others using their scamming skills for douchey reasons and decides, "Eff that. Not on my watch." And we have to admit ... we adore those people. The victim in this case was an educated, affluent Connecticut woman we’ll just call “Shireen”. She was fully aware of the scam’s existence, but one particular team of evil buttholes were convincing. They presented a great story and a bunch of extremely believable documents, so eventually she fell for it to the tune of over $200,000. That's some Breaking Bad level shiz, son. Unfortunately for the scammers, Shireen wasn’t about to keep this story buried out of personal embarrassment, like so many other victims. Instead, she swallowed her pride and went to the police. Which is good, because around that point Chris “To Catch A Predator” Hansen heard about the case. Most people know Hansen from his famous predator-preying on Dateline NBC. However, Hansen has been tracking down everyone from ID thieves to professional con men, and in the latter capacity, he spent an entire year trying to track down the scammer group that cheated Shireen out of her life savings. Wait, sorry, did we say “trying to”? We meant that he arranged a hidden-camera meeting with their representative and went to town. 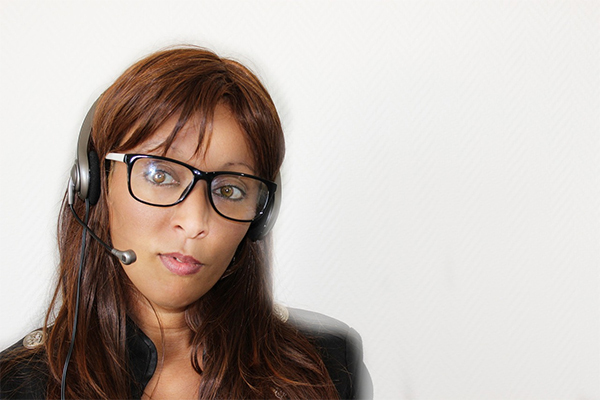 First, Hansen’s Dateline team started talking with the scammers in Shireen’s name and with her full cooperation. Eventually, Hansen himself took over, posing as a businessman that Shireen had talked into investing in the scheme. Finally, he managed to set up a meeting with “Diplomat Jeffrey Grant” (a.k.a. con man Kenneth Ojua) in a Greenville hotel room. Ojua tried to con Hansen out of $37,600 for “storage fees”. In response, Hansen whipped out a mountain of evidence against the scammer, and proceeded to “Hi, I’m Chris Hansen” him so hard that Ojua not only got arrested and indicted, but the Secret Service actually launched an investigation into his group. Fighting email scams is problematic, because a single person can only do so much. No matter how long you engage scammers and how badly you screw with their minds, eventually they’ll just shrug and move on to the next mark. But what if you could find someone who you can just forward the scammer's contact details to, and that person will then proceed to mess with them until the heat death of the universe? Of course, that’s just a rhetorical question. No person in their right mind would ever have the time nor inclination to spend their time prolonging conversation with people who are actively attempting to harm their wallet. Which is why a New Zealand based non-profit called NetSafe built an AI bot to do that instead. The AI is called Re:scam, which is a perfect description of what it does: It constantly replies to email scammers in order to keep them engaged as long as it can so they don’t have time to scam others. Once you send the details of the scammer to its email address, it will start engaging him until he loses his freaking mind. It works because Re:scam‘s emails are incredibly realistic. It has multiple “personalities” that have a specific style, a specific sense of humor and even make very specific types of grammatical errors, ensuring that mass scammers don’t learn to recognize its patterns. Its responses are a never-ending barrage of interest, mild reservations and queries for extra information, peppered with “personal” information of its own to make things more believable. Unfortunately, Re:scam is not quite the tireless sentry guarding the floodgates of scam spam that it may seem … at least, yet. After a million emails sent to increasingly bewildered scammers, NetSafe powered the AI down in December, 2017 for further R&D. In 2016, Vox writer Alvin Chang found himself targeted by a group of phone scammers who claimed they were from the IRS. According to them, Chang owed $6,000 in back taxes and had to pay it as soon as possible ... or else they would send the local law enforcement to arrest him. The scammers weren’t exactly convincing, and Chang saw through their trick right away. However, he found out that thousands of people had in fact fallen for it. Wishing to find out what exactly worked in this particular con, he decided to do what journalists do best: He found out the secret of the scammers, and proceeded to get on their nerves in every possible way. As the calls kept coming, Chang figured out that the scammers were not only working from a large call center with a fairly sizable staff -- they were also using a very specific script, telemarketer style. "Before we continue, do you have a very particular set of skills, sir?" So he memorized the script, and started using it against them. Chang threw the scammers off balance by randomly quoting their lines at them in advance. He admitted outright deliberate tax fraud to them, knowing that the scammers’ script wouldn’t know how to deal with it. After a few weeks of ruthless trolling, he decided to crawl deeper into the rabbit hole. Pretending he was willing to pay, he allowed himself to be directed to a “supervising” IRS officer (the authoritative-sounding person in charge of closing the deal), a guy called "Steve Smith," because scammers are nothing if not impressively boring. Chang and “Smith” entered a complex endgame where the latter tried to coax the former to load thousands of dollars on iTunes gift cards -- you know, like IRS does -- and Chang countered by feeding “Smith” fake gift card codes while acting as clueless as humanly possible. Then, he started demanding a receipt, driving “Smith” to the verge of lunacy. He could actually hear muffled laughter at the background, as “Smith” was reduced to screaming at him and the other scammers just couldn’t hold their cool anymore. A few weeks after this adventure, the Indian police arrested 70 people involved in the scam. Soon after that, it emerged that there were actually 9 of these professional call centers. Combined, they employed around 770 people, each of whom talked to 100 people every day, netting a combined $150,000 in daily profit. If you’ve ever had dealings with a tech support company (or worked for one), you know the hell that is the dreaded support phone call. It’s that rare kind of conversation where both parties manage to come across as completely useless, regardless of their actual level of intelligence and skill. You think the support guy is an idiot who keeps asking stupid questions like, “Have you tried turning it off and on again?” Meanwhile, he’s trying to surreptitiously make sure that you aren’t the 87th dumbass today whose laptop battery just ran out of juice. This is extremely fertile ground for scammers. They call people, pretending to be "Windows Technical Support" and claim they have been notified that the mark’s computer is full of viruses and junk files that need to be cleaned. Then, they goad the victim into installing all sorts of crap, eventually gaining control of the device and holding it for ransom. This is all well and good for the scammer as long as the mark doesn’t know too much about computers. But when they accidentally end up targeting the tech-savvy editors for Ars Technica, the game is on. Because of some strange cosmic joke, this has actually happened multiple times, and the supposed targets inevitably (and gleefully) keep ruining the scammers in the most frustrating manner imaginable. In 2012, one Ars Technica editor on the receiving end of a tech support scam call took the academic interest route. He played a typically clueless mark while his colleague punched in the commands the criminal told them to. Slowly and painstakingly, they allowed the call to proceed, purposely messing up the instructions and pretending to be the most computer illiterate person alive. If you have the time, we highly suggest reading both of the above links, as the conversations are documented. And they are pure trolling artistry. They played along, right up to the very edge of actually punching in the command that would allow the scammers remote access, taking notes all the while ... then, at the last minute, they casually informed the caller that the jig was up, and in fact had been up all along. In 2017, another editor took things even further. He played the role of the classic, clueless “I already tried that, it didn’t do anything” tech support customer. He kept the increasingly frustrated scam caller dangling for a full two hours -- to the point where the editor’s wife started getting weirded out by her husband’s newfound cruelty streak. Then, after the call finally ended, the editor passed on the scammer’s data that he had secretly been collecting all along to the operators of the infrastructure that the scam used. What’s the most intricate prank you’ve ever pulled on a person? It doesn't matter what you answered; Mike Berry has dozens of better ones. And he’s pulled them all on professionals who were trying to scam him. In 2003, Berry started replying to email scammers for personal amusement. His website, 419eater.com, soon developed into an active community of self-proclaimed “master baiters” (yes, really): White hat counter-scammers who took pleasure in giving 419 scumbags absolute hell. Berry himself developed a portfolio of refined trolling that relies heavily on "straight baiting." He engages the scammer in prolonged interactions that make them think they’re on the brink of making a big profit. This causes them to invest more and more of their time on him, which means they're spending and less time on other, more gullible marks. One glorious trait that sets Berry apart from others on this list is that he likes to get creative. As the conversation with the conman progresses, he weaves such elaborate stories that the scammers find themselves doing completely ridiculous things to get their hands on his dollars (or so they think). Drop what you're doing and check out their trophy room. Mike has persuaded “Nigerian princes” to copy the Lord of the Rings trilogy and most of the Harry Potter series by hand, just by saying that he works for a handwriting analysis company and pays $30 per handwritten page. He has convinced them to book international flights and expensive hotel rooms for important business meetings that didn’t exist. He has manipulated them into getting tattoos. He once made a scammer fall in love with him by impersonating Gillian Anderson online. He has even faked his own death while the horrified scammer listens on the phone. Berry replied to a fairly standard advance-fee scam by straight up ignoring the scammer’s offer and countering with his own. He told them he represented an art gallery that promised talented sculptors a scholarship and asked the scammer if they could introduce him to one. Soon, the scammer contacted him under a new identity, “John Boko”. Berry sent him a photo of a cartoon cat and dog, along with extremely detailed specifications about how to turn it into a carving. Oddly enough, Boko not only delivered, but his work was pretty close to the specs Berry had given. Unfazed, Berry used a ruler and a perspective trick to take a photo that made the sculpture seem smaller, and expressed dismay that the artwork had experienced “shrinkage” during shipping. However, Boko might still have a chance to get a scholarship ... only, this time, the challenge would be a little harder. Long story short, Mike Berry is now the only guy in the world with a lovingly scammer-carved, custom Commodore 64 replica. Like this article? Check out "5 Real Smuggling Schemes That Sound Totally Made-Up" and "5 Of The Ballsiest Scams People Tried To Pull Off".